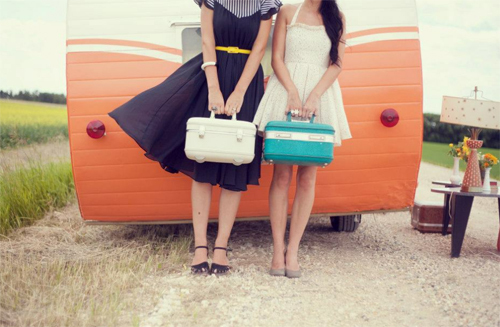 happy trails | Vim & Vintage - design. life. style. I love all kinds of restorations. The creativity that comes with taking something old and having it come alive again in a whole new way totally inspires me. It really gives perspective on how one man’s trash really is another’s treasure! 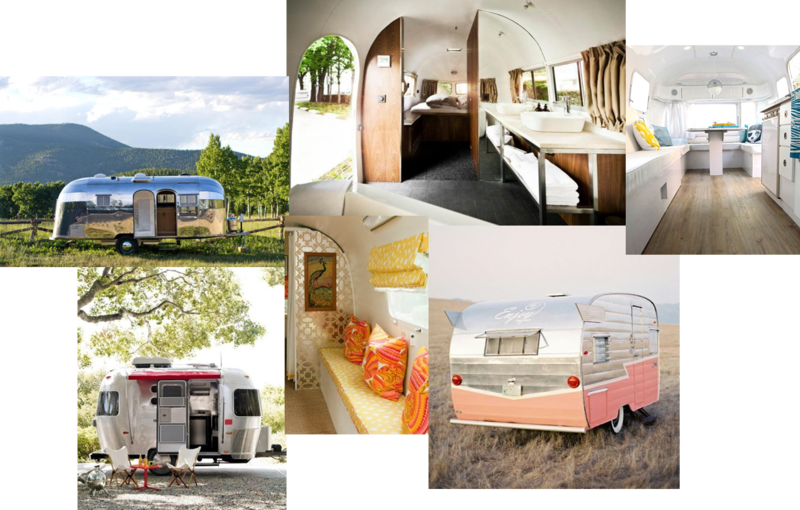 That being said, there’s a special place in my heart for vintage airstreams. I’m always amazed by how such a small space can be utilized so efficiently! What could possibly be more perfect then a cute little trailer you can travel, work, or play in?? When I lived in Florida, I worked in the best beach town ever, Seaside. We had the greatest little airstream food court right in the town center. I used to walk over on my break to grab a sandwich, smoothie, or snowcone. I had no idea just how spoiled I was!! This renovated beauty is from the girls over at Oh So Lovely blog. 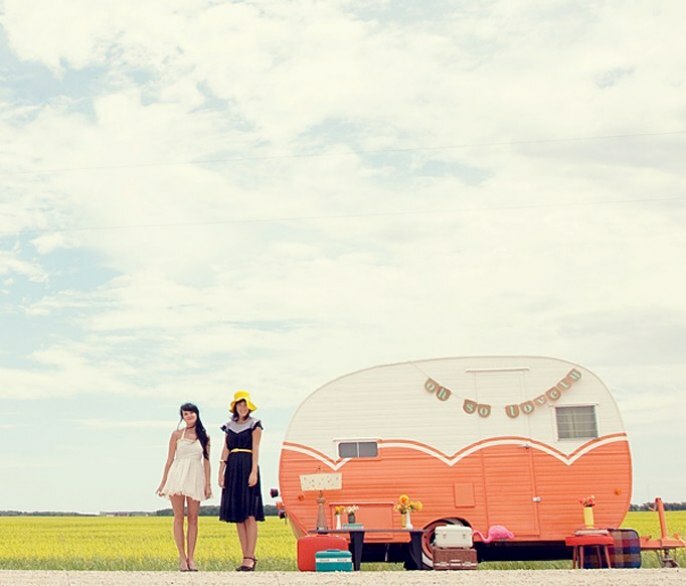 They have a mobile vintage clothing shop in this trailer – how freakin cool is that!? Before and after shots! I’m obsessed with the coral color choice. Featured in the June/July Issue of Rue Mag, designer Alicia Falango takes you inside her event planning office. Seriously?! Can I please work here???? I may add acquiring an airstream to my ever growing Bucket List. If you had one, what would you use it for? Loving this movement of restoration. What a fantastic home away from home for those peeps embracing (re)imagining…and perfect for a sassy little junk journey road trip!